We have people buying the Hydra for kayaking and tubes so the whole family can use it. It’s a smart design that will stand the test of time. We use it more than anything else for teaching now. Ready to fly out of the bag - lines are already attached! the world`s first and only water relaunchable trainer foil. Extremely stable and easy to fly, this closed cell ram–air foil has no bladders to inflate or replace, yet it floats on water. 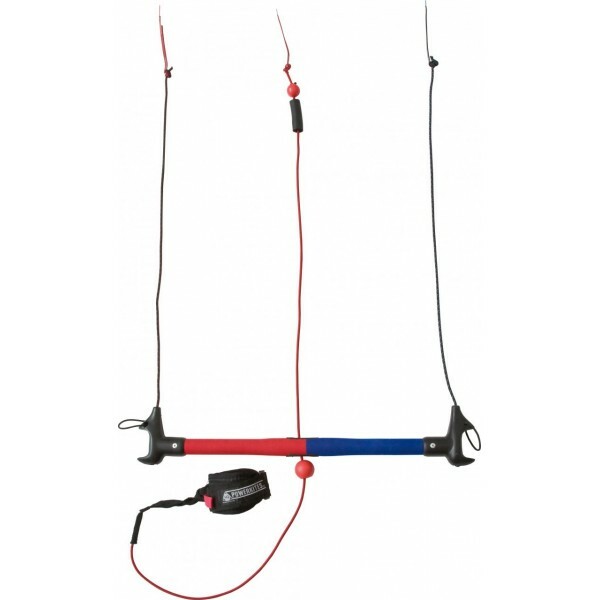 A third line provides the safety system and the ability to reverse launch, making it perfect for use with absolute beginners. The Hydra flies great in low winds and generates plenty of pull for bodydrags when the wind is strong. The third line allows easy re-launching and provides and effective safety system. They Hydra is equipped with dirt-outs and a quick deflation vent. 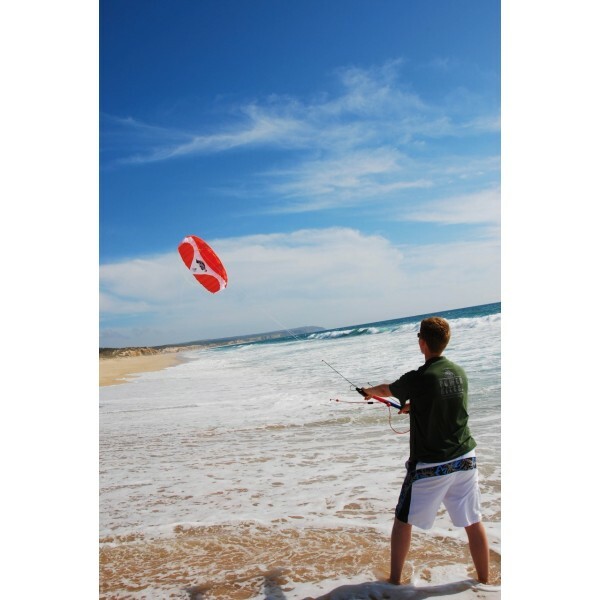 This easy to fly kite comes fully complete with flying lines already attached and ready to fly. All in all, this is the most complete trainer on the market for learning how to kitesurf. 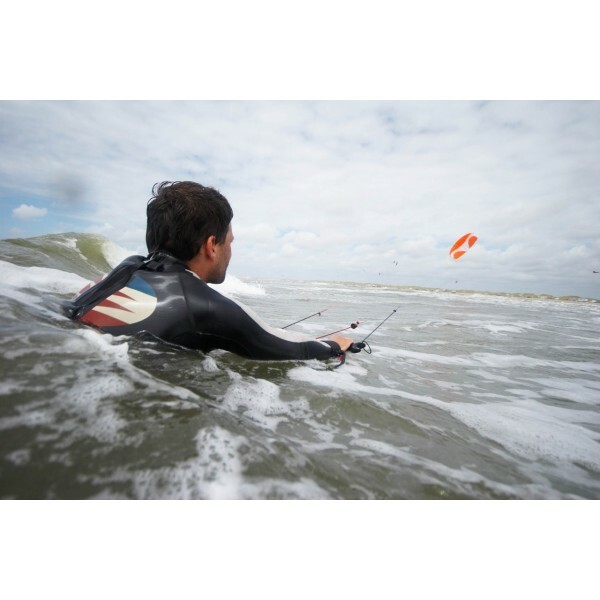 You can transition from learning on land to water easily and without having to switch kites! 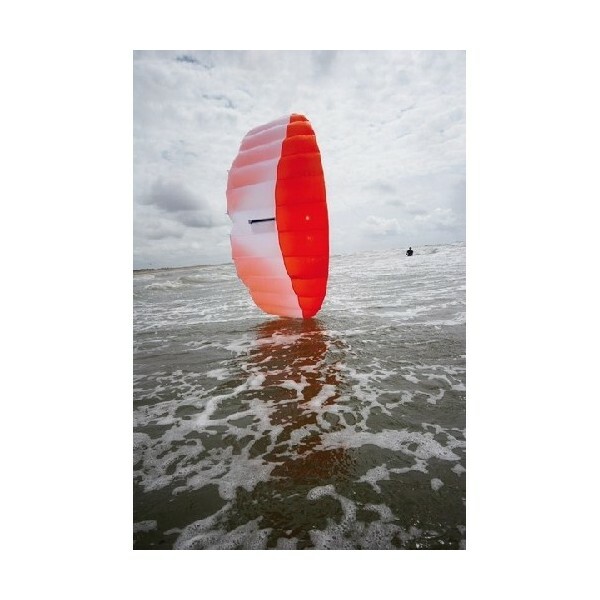 The Hydra is a kite suitable for anyone who wants to power kiting on the water. It has a huge wind range and will generate plenty of pull when the wind strengthens. The closed cell construction and self-closing air inlet vents enable the Hydra to float on water. 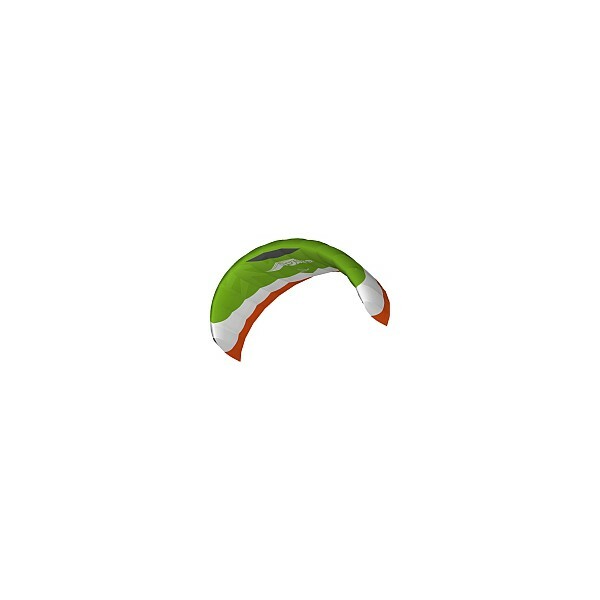 Since you can use this for both land and water, this kite is indispensable and the best learning tool out there. We are not sure why other companies haven’t thought of this, but the ability to train on water really raises the bars for all other kites. 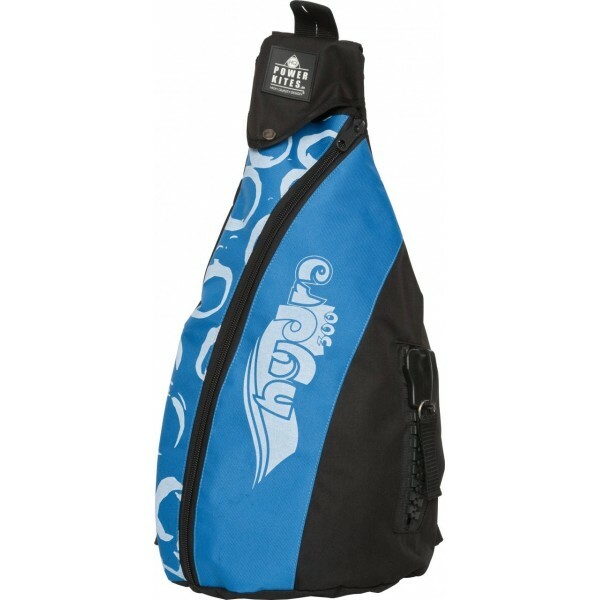 We have people buying the Hydra for kayaking and tubes so the whole family can use it. It’s a smart design that will stand the test of time. We use it more than anything else for teaching now. Can use on land and water. Simple and good fun. You will never sell let this kite or let it collect dust. 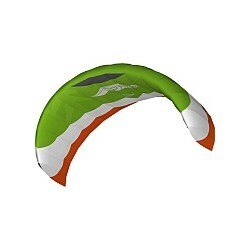 We truly can’t find anything that could be improved on this kite-it’s the perfect land, water and all-around fun kite. 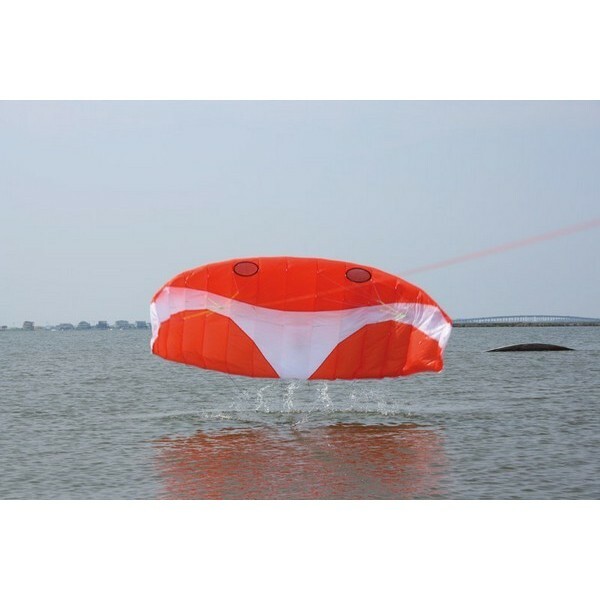 The Hydra is the most requested and sold kite that we offer.